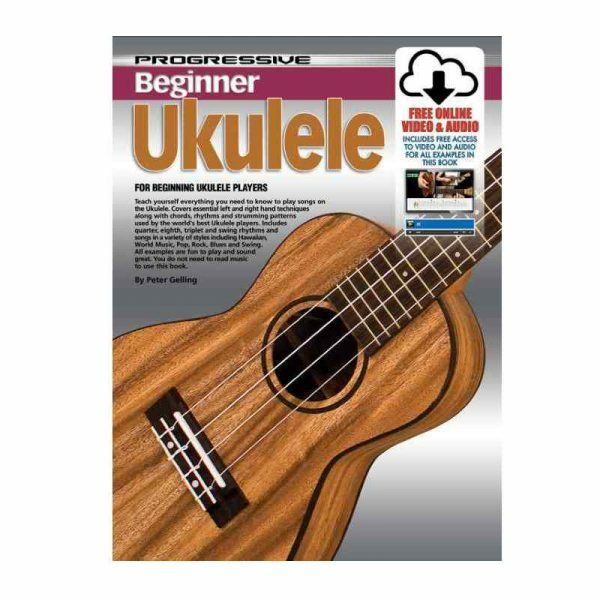 Progressive Beginner Ukulele contains all you need to know to start learning to be a great ukele player – in one easy-to-follow, lesson-by-lesson ukulele tutorial. Concert size nylon string electric ukulele. Surfboard shaped solid basswood body. Maple neck and rosewood fingerboard with dot inlays. Under-saddle piezo pickup and Mahalo active preamp with volume and tone controls. Nickel open gear machine heads with round vintage style buttons. Rosewood bridge with compensated Nubone saddle. Aquila strings.